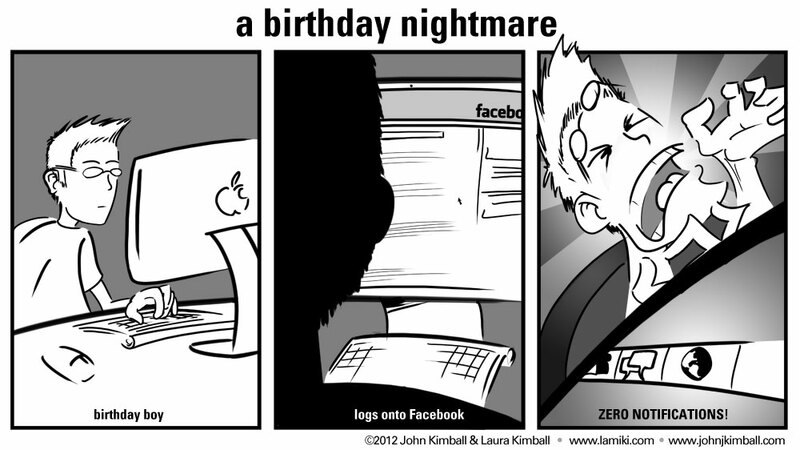 After responding to all of the sweet, awesome, and thoughtful messages my friends left for me on Facebook last year, I had this wild idea – what if you woke up on your birthday, logged onto Facebook, and no one left any birthday messages for you? That would be the worst birthday ever, right? As I learned from my parents when I was younger, if you have a bad dream, tell someone about it so that it won’t come true. Thank you to my amazing husband, John Kimball, who drew this comic and helped me bring this concept to life. P. S. Today is my birthday.